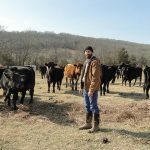 Sustainable agriculture grows into Black Cow Meats in Ozark, Mo. In 2012, Billy Gourley took a leap of faith and moved his family from Southeast Colorado to Southwest Missouri after Bill and Janet Gourley, his father and stepmother, aspired to begin a small ranching operation on their land in Ozark and Crane, Mo. From there, the farming adventure began with 16 heifers and one bull on roughly 2,100 pasture acres. “We didn’t have anything near this large in mind when we first started,” stated Bill. 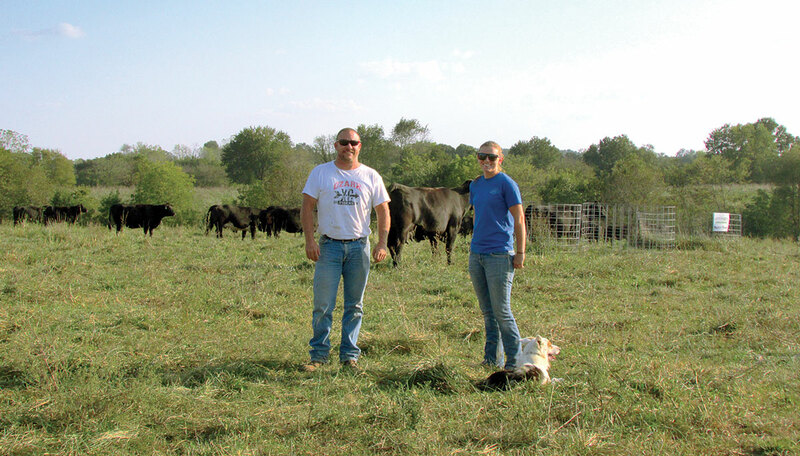 Currently, Gourley and farm manager, Riley Israel, spend their days split between managing the day-to-day operations of the farm and investing resources into the Gourley Family’s local meat and produce store, Black Cow Meats. Sustainable practices are the basis of the Gourley operation beginning at the soil. They have implemented a rotational grazing system to eliminate supplemental feeding. Each parcel of land sectioned off into 8- to 12-acre paddocks or smaller strips for efficiency. 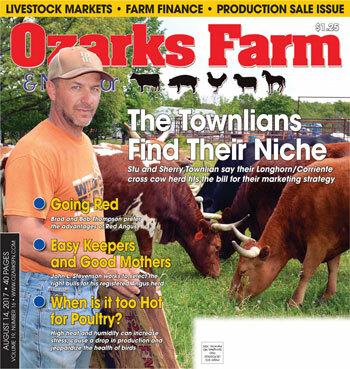 For example, on one 90-acre parcel of land in Ozark, Mo., they continually keep 32 cows with calves rotating through. The length for rotation is variable based on several different factors, with weather being one of the largest. In the past they have rotated on a 12-hour schedule, but now they are able to stockpile enough grass that often times cows can stay for a few days to a few weeks, depending on the conditions. Even calves that are not technically part of the grazing system are sectioned off so pasture land can be maximized. “Last year we cut our feeding in half with an increase in head and grazing less acreage,” Riley boasted. 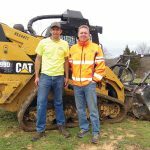 Due to an increase in sustainable practices, they were able to eliminate 550 acres of leased ground out of their operation, saving them expense in multiple regards, including cutting winter supplement feed in half. Not only do they fertilize their 40-acre alfalfa field, but they fertilize all cattle pastures based on MFA’s NutriTrak Precision Agriculture program. They have witnessed remarkable success with promoting sustainable measures on their operation. The program relies on grid sampling to promote adequate soil nutrition. Soil samples are collected every 2.5 acres and analyzed to determine the best ratio of fertilizer. Specific technology creates a digital map of the accurate fertilizer requirements for each acre and allows the fertilizer to be spread at a variable rate. In addition to operating a high-functioning rotational grazing system and fertilizing, they have planted two different varieties of clover, Lespedeza, and Orchard Grass. They have created their own market. A heavy focus of the operation is to truly emphasize farm-to-table practices. Billy was intuitive to the consumer desire for local products and extremely interested in finding a way to bring that to his community. In 2016, with the help of his family, he rented a building in Ozark, Mo., with dreams of making it a local meat and produce shop. After long days on the farm and dusk to dawn hours investing time and resources into the metal building, Black Cow Meats with born. 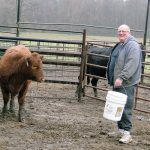 Black Cow Meats, managed by Hope Frame, is owned by Bill and Janet Gourley and offers farm-fresh beef. “All of our beef is born and raised on Gourley farms, with the exception of a few cuts that we absolutely cannot keep up with, like brisket,” Bill said. They also sell several other local products; ranging from bison, pork and chicken to seasonings, salsa, bread, and many other products. 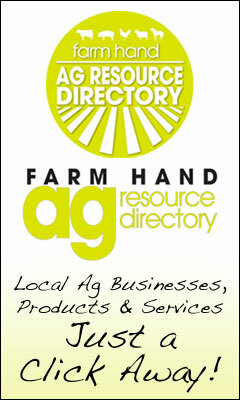 According to the United States Department of Agriculture, sustainable agriculture is utilizing plant and animal practices that will over the long-term enhance the environmental quality and the natural resources base upon which agriculture depends, make the most efficient use of non-renewable resources, and enhance the quality of life for farmers and society as a whole. Backed strongly by family, Billy and Riley have made great strides to accomplish just that and have encouraged the consumer to get involved through the development of Black Cow Meats. Through raising their own replacement heifers and bulls, all meat from Black Cow Meats comes straight from the farm. Gourley Farms now manages over one thousand head of cattle on the same 2,100 pasture acres they began with through sustainable measures.